Many companies make the mistake of not properly understanding their target audience and the different types of customers that fit that description. This often results in web designs that are not optimized and don’t work properly for the audience they are trying to attract and engage. Figuring out your target demographic can be extremely helpful in determining the website design approach that works best to give visitors a positive experience while they are using your website. 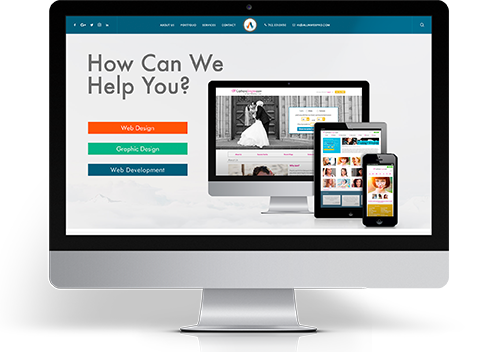 Your website is the best way for you to interact with your customers. You want to be sure you make your web design, layout, and content choices a priority and make sure there are reasons behind why you made the design decisions you did. A website designed without a professional web and graphic designer involved can potentially lead to mistakes or missed opportunities that result in a loss of revenue due to your customers leaving your site early or not finding what they wanted to, being unimpressed with the design, or not being as engaged as they could have been. A bad design can negatively impact your customers’ thinking by making them associate your services and brand with an unprofessional appearance.